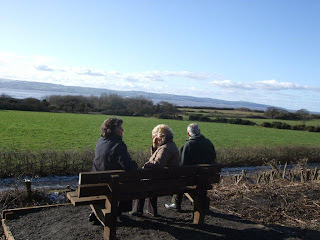 Rather than have a grave & headstone for my father my mum wanted a seat placed down by the shore with a small plaque so that people could sit down and admire the magnificent views over the Dee Estuary to Wales. Much as my father did in all the years that he spent his time down there as a teenager and young man at the Heswall Boys Camp and in later life fixing boat engines for his pals. I think its a beautiful spot and a fitting memorial and I look forward to sitting on the seat and contemplating life the next time I visit England. Great idea! What a way to remember your husband and dad!!! !